Rolando Teruel has recently published an article describing a new species of Microtityus Kjellesvig-Waering, 1966 (Buthidae) from semidesert habitats in Southeastern Cuba. 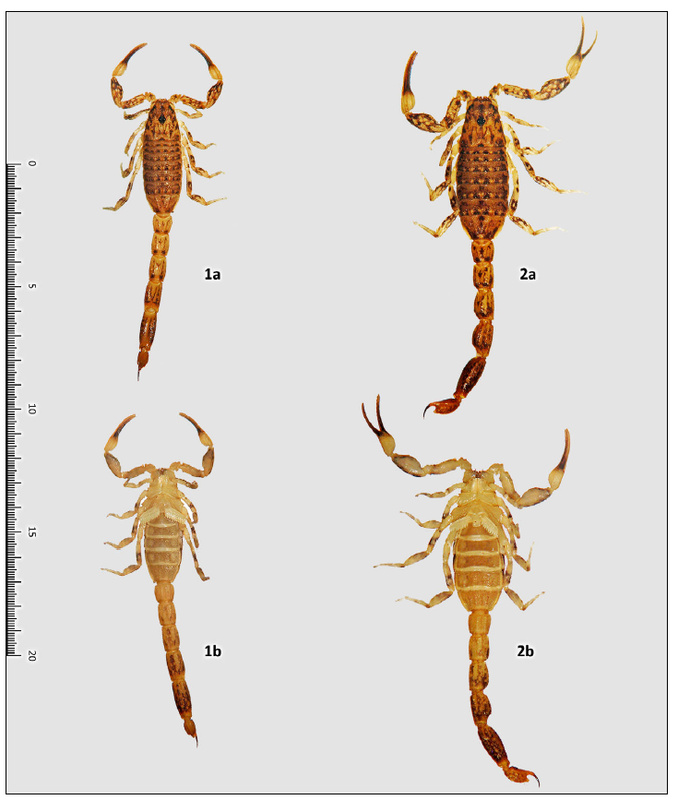 A new species of the buthid scorpion genus Microtityus Kjellesvig-Waering, 1966, is herein described from specimens of both sexes collected at three nearby localities in the western part of the Guantánamo Bay Area, southeast Cuba. It belongs in the "jaumei" species-group of the subgenus Microtityus (Parvabsonus) Armas, 1974 and is very peculiar not only by its external morphology (very distinct from its other Cuban congeners), but also by the unusual habitat where it occurs in and seems to be restricted to (dry and hot cactus scrub on volcanic sandy plain). The present contribution reinforces the position of this genus as the second most diverse in Cuba, with 10 nominal species.